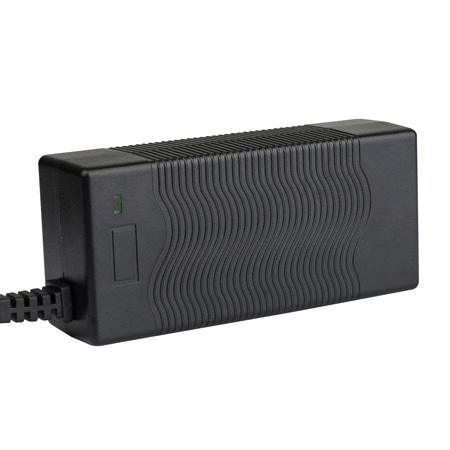 The PC-U130B2 consists of an AC-DC power module and a dual heads D-tap DC cable to connect with the D-tap socket of batteries. So you can charge 2 batteries together. The charger offers DC 14-16.8V, 3A fast charging output in total. The PC-U130B2 has an LED charging indicator. It’s red during charging, and turn to green when charging finished.